Car Class services are available to you 24 Hours a day, 7 days a week. If you are looking for a chauffeur, we can you an efficient service at any time because we work with Student chauffeurs. Never used one before? Your first journey with a student chauffeur is only € 14,50 per hour (excluding VAT), insurance included! 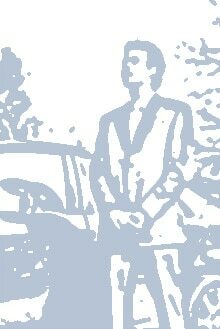 A student chauffeur is available 24/7. When you’re at your appointment, your chauffeur can carry out small tasks such as delivering your mail. A student chauffeur is available at the sharp rate of €19,95 per hour (excluding VAT). A student chauffeur will drive in your own car to the desired destination at any time. In addition, our student chauffeurs have a valid student public transport smartcard. Therefore, no travel expenses will be charged for weekday trips. Want more information about our chauffeur services? Call 088-CHAUFFEUR, send an email to info@carclass.nl or book your trip through our online reservation form. Want to make an online reservation for a student chauffeur?